The 100 Lead Generations PDF is done! I’m quite happy with it too. Åsa Magnusson had ordered it as a marketing tool for Hunting With Tigers, and it was fun working together – as always. 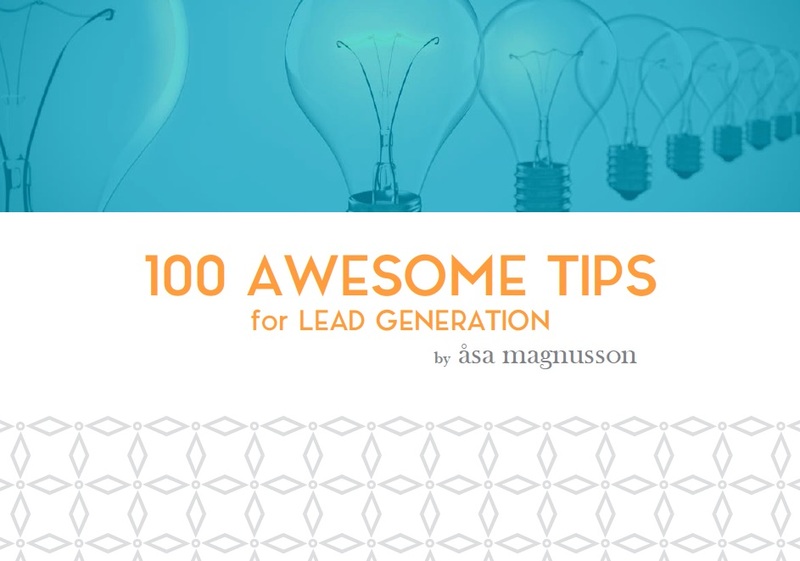 One of many good things for me, working with Åsa, is that I learn a bit more about marketing every time. Today you need to keep on your toes constantly, because everything changes so quickly, and nowhere as much as in marketing. In this excellent PDF you get 100 awesome tips and ideas for marketing your product, your services and/or yourself. Have a look and try something out today! Check it out at Hunting With Tigers and benefit from Åsa’s 10 years of experience as a marketeer.